DonQui rather likes Granada — a city built for Donkeys not for cars. 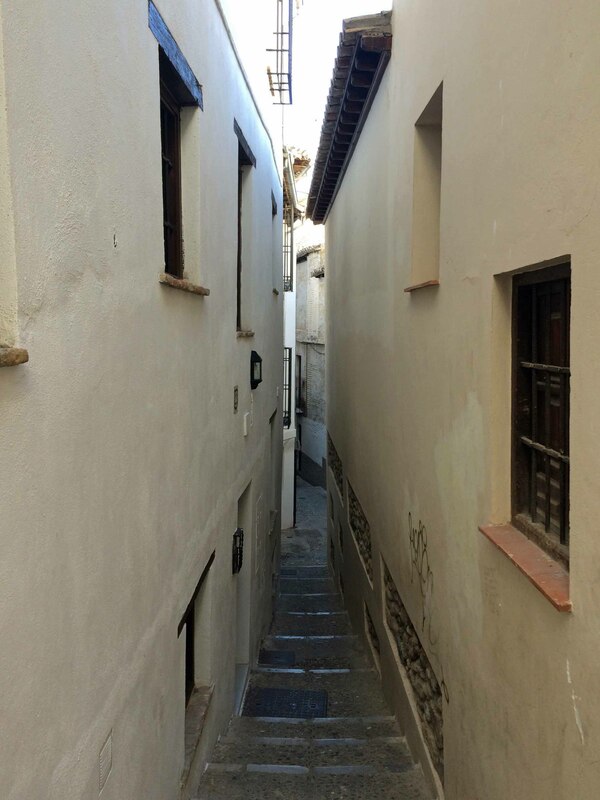 The narrow, rough-cobbled streets of the ancient Moorish Albayzín district made him feel quite at home and he could imagine his ancestors carrying baskets up and down the hills to build the famous Alhambra. Now the Alhambra is justly famous and should not be missed. The problem is that everyone else knows this and the number of visitors each day are strictly limited. Buy a ticket in advance was the advice. Excellent advice it was, except that when DonQui went online to reserve in early September, every day was booked out through to the end of November. The only option was a guided tour. DonQui cannot abide guided tours. Not to be put off he searched various websites. Most were fully booked but then Ticket Bar came up with availability in the afternoon of his first day in Granada. There was no immediate receipt for payment which gave DonQui a few nervous hours in case it had been a scam and then to his delight a voucher came through with an entry time to the Palacios Nazaríes at 15:00. On the day, after wandering around the centre of Granada and looking in at the Baroque cathedral — all of which were so-so — DonQui trotted up the steps of the tourist information office. By now it was around noon and DonQui’s ticket to the Alhambra did not allow general entry before 14:00 with a set entrance time to the palaces at 15:00. He wanted to know if there was a possibility to have lunch at the Alhambra before starting his visit. The lady in the tourist office looked at DonQui — her face a picture of incredulity. “But you will only have an hour. That is not nearly enough time!” she said, regarding DonQui as if he were a barbaric fast food Anglo-Saxon. Suddenly her face cleared. She had a solution. 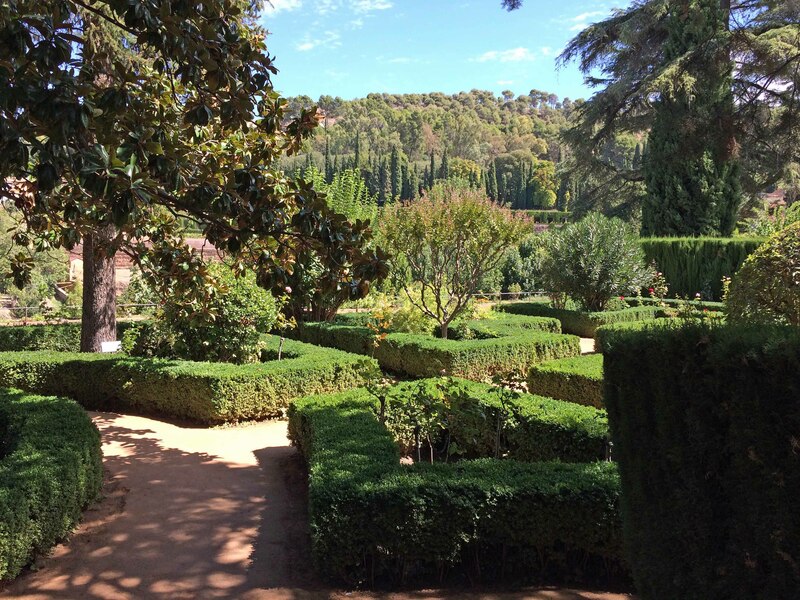 She told DonQui that he could take a taxi to the Parador which is a 5 star hotel in the centre of the Alhambra. It has a separate entrance and if he went there DonQui would not be bound by the entry times on his ticket. Looking at her watch the lady saw that it was nearly 12:30. 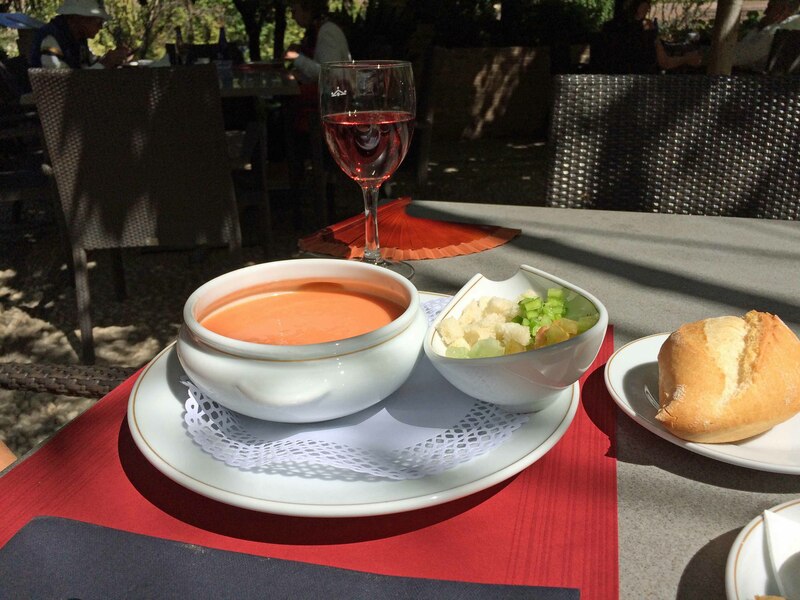 A taxi from the centre would cost around €6 and would get him to the Parador before 13:00. This would give him a bit over 2 hours for lunch. Barely enough time, she acknowledged, but it might work. DonQui often waltzes into 5 star establishments to have a drink and then use their facilities even though he is not staying. In his experience if one is dressed reasonably well and acts as if they own the place then no one questions their right to be there. So a taxi whisked him up the winding road past all the hapless tourists to drop DonQui off in front of the grand entrance where he was met by a suitably obsequious minion who guided him to a waiting table in the aptly named ‘gardens of paradise’ which had been designed for the Sultans’ pleasure many centuries ago. …while DonQui could not resit what the English translation of the menu called “fowl stew wrapped in fine dough”. 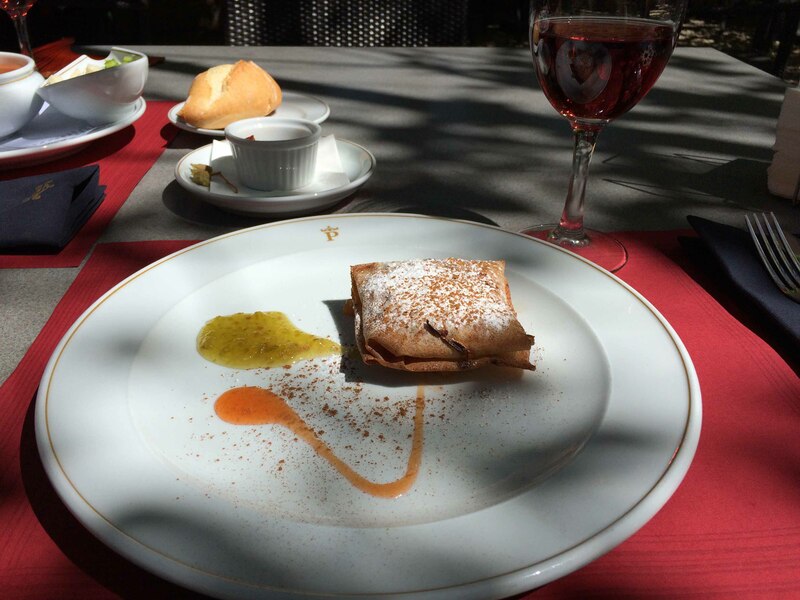 The latter (Breua de pollo in Spanish) turned out to be very similar to a Moroccan bastilla — a delightful mix of chicken and/or pigeon, egg, almonds saffron and cinnamon amongst layers of ultra fine phyllo pastry. Washed down by an excellent rosé it was just what DonQui needed to set him up for his visit to the magical Alhambra. He suggests you should enjoy discovering it for yourself. Book Alhambra tickets in advance. The entrance times to the incredible Palacios Nazaríes are fixed for an exact hour but you can spend the rest of the morning or afternoon (depending on your ticket) wandering the grounds. The Granada Card is worth considering as it gives entry to all the major sites, including the Alhambra, as well as the use of public transport. 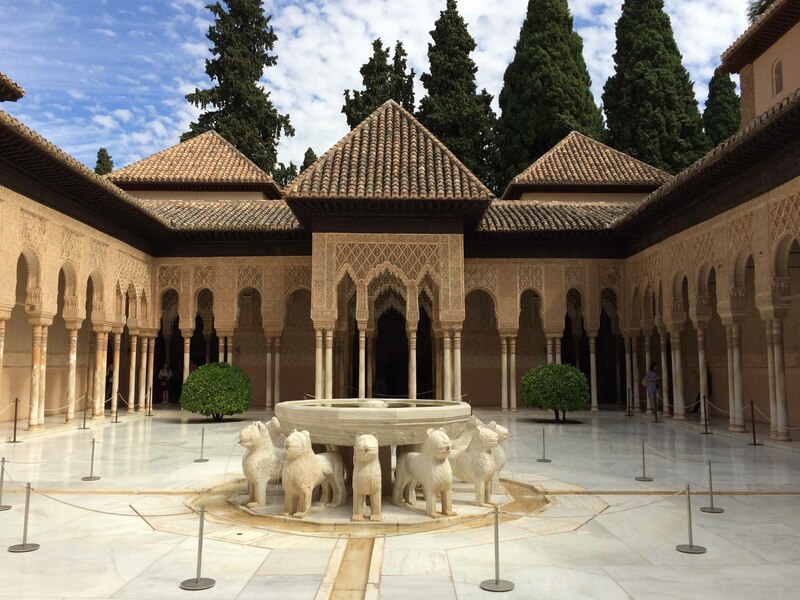 Set aside at least 3 hours for the Alhambra visit. It is a place to enjoy at leisure not to rush around. 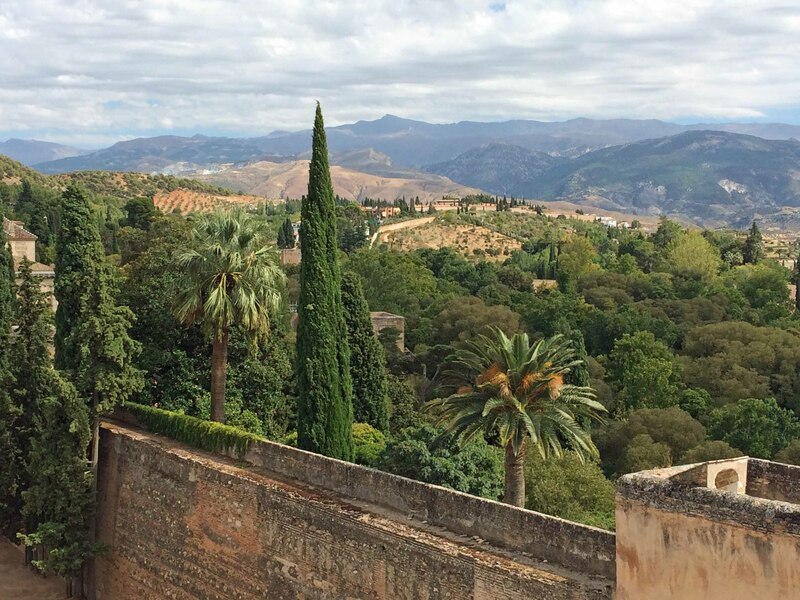 The Parador and the Hotel America are located in the middle of the Alhambra. You can go to them outside the official visiting times. Both are good for lunch or drinks with the former being top end and the latter more casual with old world charm. Ticket Bar is a good Dutch website for obtaining tickets to various attractions. They got DonQui tickets to the Alhambra when Ticketmaster failed and there was no big mark-up.